As mentioned previously, this shall be part 2 of my 2014 mooncake review. 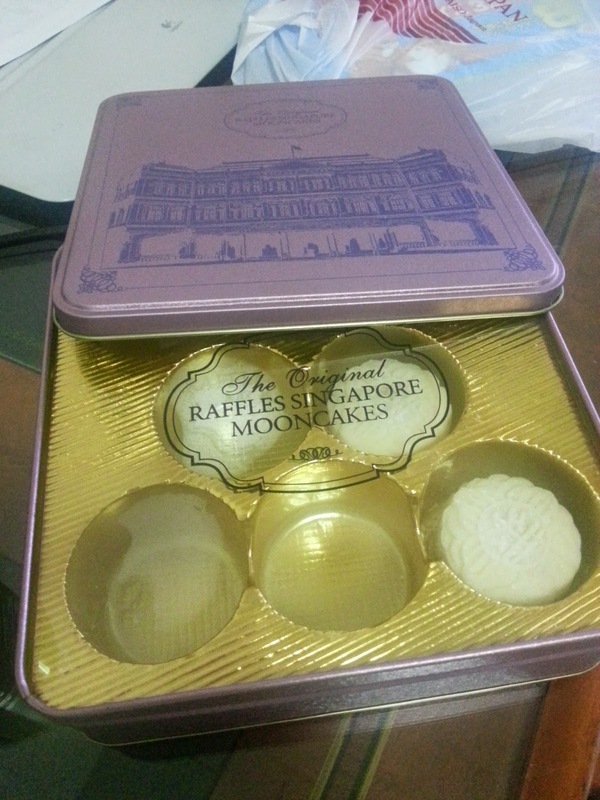 If you haven't read my review on Crystal Jade and My Bread mooncakes, do check them out HERE. 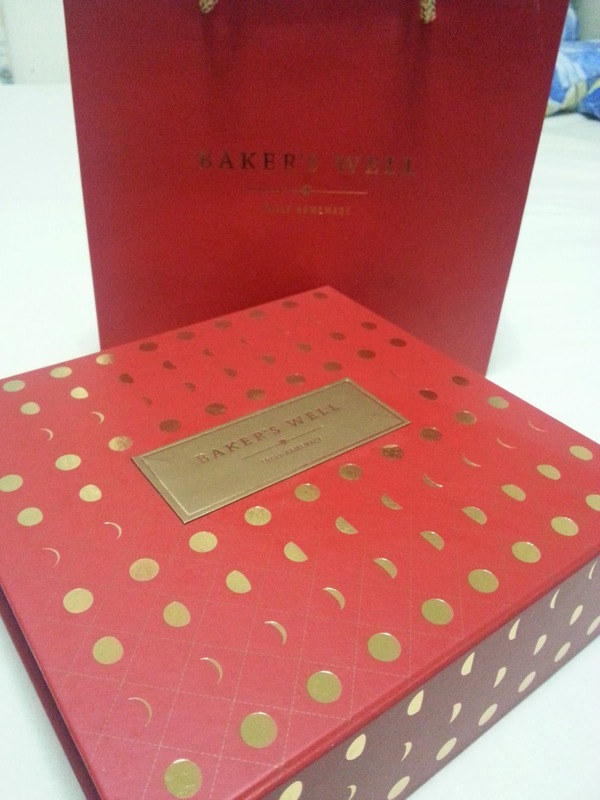 Initially I had wanted to buy the mini snowskin from Raffles Hotel but since they do not have a stall at the Ngee Ann City roadshow, I decided to go for Baker's Well instead. Flavours include: Champagne Truffle, Salted Black Sesame, Green Tea and Yuzu. Look at these pretty cuties! Needless to say, my favourite of the lot shall be Champagne Truffle, followed closely by Green Tea (my forever favourite flavour for anything, other than chocolate). One thing is really care about for snowskin mooncakes is their skin, even more so than their actual flavour. And these mini mooncakes has done it perfectly for me! Thin, even, soft and yet not mushy and gooey, you can just bite into it upon taking them out from the fridge, no thawing really required! And neither does they 'melt' into a sticky, gooey mess after sitting at room temperature for a while. 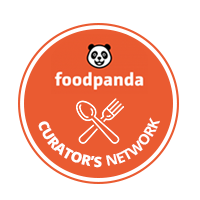 Their flavours strong enough for a distinctive, pleasant taste yet not overpowering, and the sweetness just right to make this a tasty sweet treat. Baker's Well is located at 35E East Coast Road. 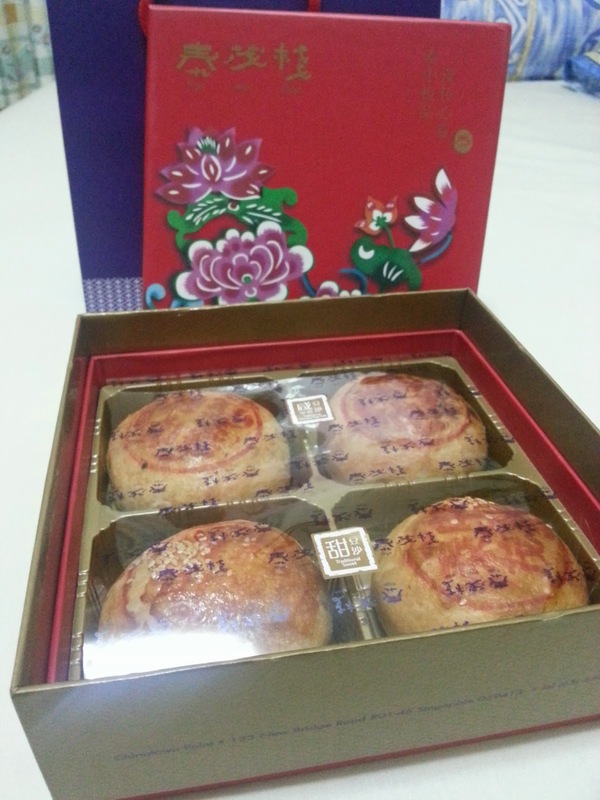 Thye Moh Chan Teochew Mooncake - ~$26 for box of 4. The skin was pretty thin and flaky, which is like somewhere in between a bey teh soh and the Tau Sar Pneah AKA Dragon Balls. Unlike the traditional Orh Nee Teochew mooncakes, which are fried, these green bean paste mooncakes are baked, hence not oily at all. As for the filling, I'll prefer the salted ones. Although the sweet green bean paste is a lot smoother and finer, I just felt that it lack the oomph of their salted counterparts, with the latter having a much crumbly grainy texture. And of course, compared to the usual baked skin and snow skin mooncakes, these teochew mooncakes won't make you feel sick of the sweetness even after eating a substantial amount. What's more, they're so much more affordable! 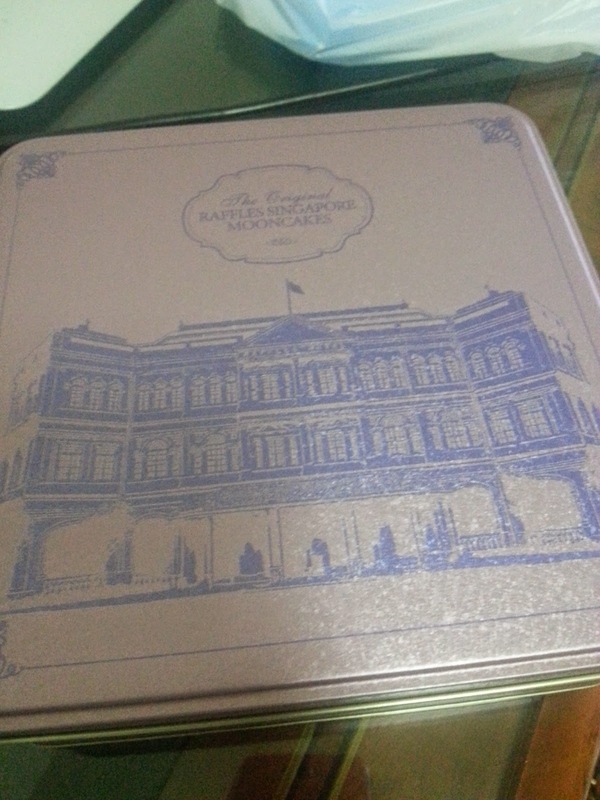 And lastly, Raffles Singapore Mooncakes. I didn't want to add this in the list as I only had 1 bite of the mini snow skin (and almost wanted to spit it out) and can't even be sure of its flavour. But a google search and picture comparison told me what I've eaten was their Champagne Truffle & Ganache. I don't get the hype about this mooncake, really. TCC nice ah? Dunno leh, maybe I have acquired taste or what. I think Raffles skin quite icky leh.